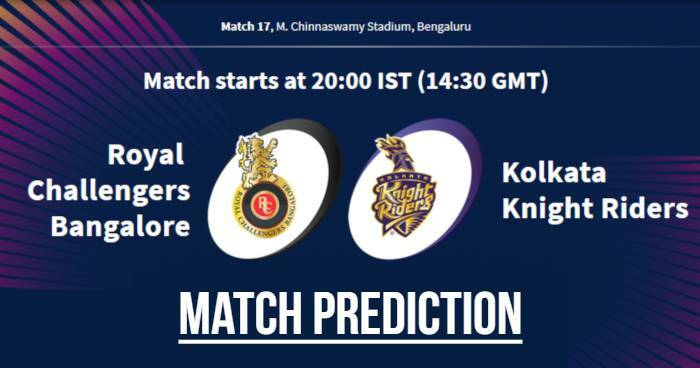 Home / Bengaluru / IPL / IPL 12 / IPL 2019 / KKR / Kolkata Knight Riders / M. Chinnaswamy Stadium / Match Prediction / RCB / Royal Challengers Bangalore / VIVO IPL 2019 Match 17 RCB vs KKR Match Prediction, Probable Playing XI: Who Will Win? 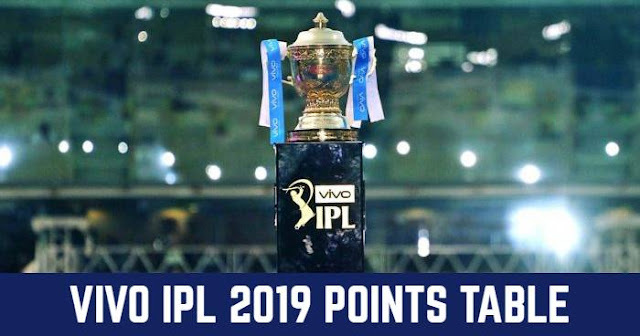 VIVO IPL 2019 Match 17 RCB vs KKR Match Prediction, Probable Playing XI: Who Will Win? Probable Playing XI for RCB: Virat Kohli (c) Parthiv Patel (wk), Moeen Ali, AB de Villiers, Tim Southee, Marcus Stoinis, Akshdeep Nath, Umesh Yadav, Navdeep Saini, Washington Sundar, Yuzvendra Chahal. Probable Playing XI for KKR: Dinesh Karthik (c & wk), Sunil Narine, Chris Lynn, Robin Uthappa, Nitish Rana, Shubman Gill, Andre Russell, Piyush Chawla, Kuldeep Yadav, Lockie Ferguson, Prasidh Krishna. Looking at the dew coming into play in the second inning, the toss-winning captain would like to bowl first. Looking at the dew that will come into play in the second inning, the team batting first has to keep that in mind and post some additional runs. Looking at the wicket 190+ is a par score. Our Prediction for IPL 2019 Match 17 RCB vs KKR Who Will Win? Royal Challengers Bangalore are struggling in both departments; bowling and batting. While Kolkata Knight Riders are struggling in their bowling. When we look at the records, Royal Challengers Bangalore have taken only one wicket in the Powerplay in their first four games this season - the least among all the teams. Also, Royal Challengers Bangalore’s runs per wicket lost this season is 18.00 – the lowest among all the teams. AB de Villiers average against Kolkata Knight Riders is his lowest against any IPL team. His average against KKR is 24.92. Royal Challengers Bangalore have the opening partnerships of 16, 27, 13 & 49 and Kolkata Knight Riders have the opening partnerships of 8, 54, 185 and 60. But, Kolkata Knight Riders have an economy rate of 9.27 in the three matches of IPL 2019 - poorest among all teams. In our prediction, Kolkata Knight Riders are likely to win this match.